the Death Skull Army Headquarters / Clan Information and Chit Chat Section. / Clan Recruiting Policy and by-Laws. / Ban Appeal System. 1. Use the Ban Appeal System. 2. Send us an Email at appeal@deathskullarmy.com with "Ban Appeal" and your PSN Name in the subject line. 2. Any supporting evidence that shows the ban is in error. 3. Why should you be unbanned? The D$A Staff and Clan Members will review your case and decide wether or not the ban should be lifted. Sorry DOPE_GOT_BANNED but you already knew the rules. It's really sad because we had fun playing with you and you seemed to be a really nice guy to have around. 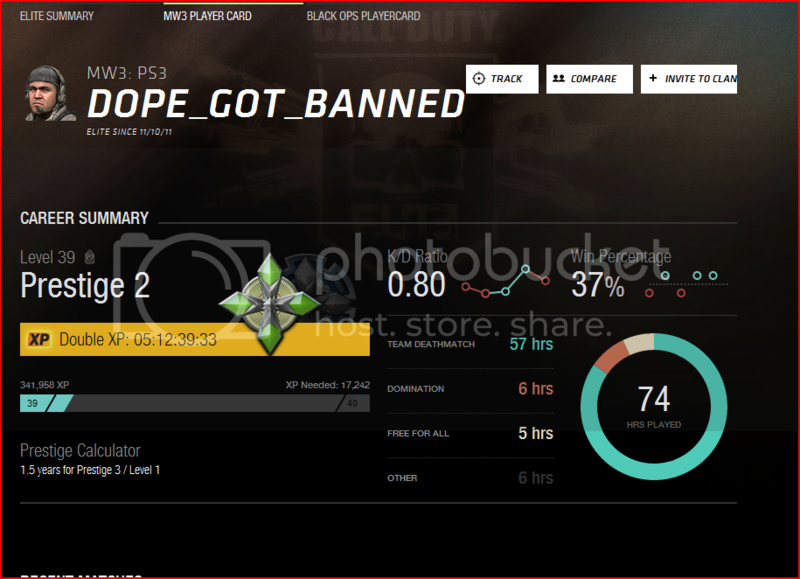 You even got promoted to Clan Soldier the day of your Ban.